While the idea of cycling without underwear may seem strange and foreign at first, most serious cyclists "go commando" while in the saddle. This is to help avoid the rubbing and irritation that can come from unfortunately placed underwear seams. In fact, most bike shorts have padding and use fabric to wick sweat and moisture away from your body, negating the need to wear underwear. 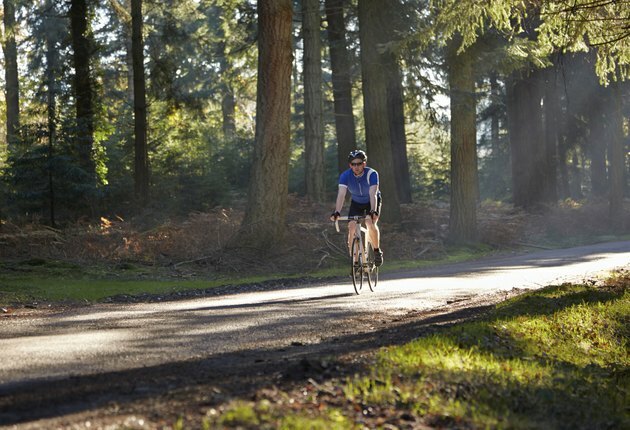 By choosing the right type of shorts and accessories, you can feel more comfortable about going bare when you're cycling. Going sans undies is the clear choice for cyclists who plan to ride more than two hours at a time. As you ride, the saddle can cause chafing and discomfort when you wear your regular underwear with cycling shorts. What's more, the best cycling shorts fit tight to the body, which could cause digging-in to occur when you wear them with underwear. You'll find that bike shorts often have inserts that conform to the body like underwear and allow your skin to breathe. If you're a serious cyclist, padded shorts are a must-have for longer rides. Wearing underwear with padded shorts could render them useless. The chamois, which is the thicker piece of equipment that runs along the crotch of the shorts, is engineered to keep seams away from your bottom. The chamois helps offer extra padding for comfort during long rides while protecting you from chafing due to underwear. If your shorts have a chamois, avoid wearing underwear if possible. It's unnecessary and it could be irritating. If your bike shorts don't have a chamois, padded underwear can be worn to add comfort. While you can certainly bike without underwear in regular, unpadded bike shorts, the addition of padded underwear, usually with gel or fabric inserts, can help cushion your bottom and help you avoid sores during long rides. As is the case with chamois bike shorts, thicker padding isn't necessarily better when it comes to padded underwear. Instead, look for soft, natural fabrics or gel inserts. If the idea of going without underwear seems immodest or uncomfortable to you, wear other bike gear with your shorts to give you more coverage. For instance, looser board-style shorts or a bike skirt can offer more coverage while wearing cycling clothes. Men and women can also choose jerseys that are longer in the back to offer more coverage across the bottom. If going without underwear is not an option while wearing bike shorts, look for seamless construction, natural fibers and comfort above all. "Bicycling": What Should I Wear?